On all the trips (3) that I have taken with All-Star I can think of nothing that "you" can improve. The Citizen Scientist program gives recreational divers a hands-on opportunity to help with various reef enhancement projects. It’s an easy way to learn about and get involved in nurturing the future of the reefs of the Bahamas. You can become a Citizen Scientist and help Marine Biologist Addie Benz with surveying coral reefs, translocating of diadema sea urchins and developing and expanding our coral nursery and coral transplant program. Addie’s work is helping to restore diadema populations to struggling reefs by translocating them, as well as beginning a coral out planting nursery. The nursery is in the very early stages as it is still being constructed and only a few corals have been placed there. In another 8-12 months, we expect it to expand quite a bit. The sea urchin (diadema) aspect of the project will be ongoing and monitoring the reef sites is the key to success. Progress is slow due to the nature of the project so we expect changes will not be visible for a little while longer. Eight sites have been selected (4 in the Exumas and 4 in Eleuthera) for relocation of sea urchins and so far results are promising as we have seen the relocated urchins months later. All of these efforts are to help improve coral reef populations through the urchin relocation, coral out planting, reef monitoring, and education to make a positive impact on the struggling reefs. The data will hopefully be used in the future by Bahamian government affiliates to better protect these ecosystems. Addie Benz grew up on the Florida Gulf Coast where she was introduced into the scuba diving industry at the age of seven. She received her Open Water Certification at ten years old and since has continued to expand her scuba knowledge by means of travel and certification courses throughout the Caribbean and Pacific. Addie’s certifications include PADI Dive Master and PADI Assistant Instructor ratings, but her educational aspirations were more inclined to the biological and conservational side of the marine world. Addie now holds a Bachelor of Science in Marine Biology from the University of West Florida. During her undergraduate studies, she participated in research projects that studied Marine Microbial Biodiversity associated with the Deepwater Horizon Oil Spill. She concurrently was able to work for Escambia County Marine Resource Division where she coordinated and executed multiple marine conservation projects along the Florida Gulf Coast including Lionfish Awareness Outreach, Coastal Cleanup, Artificial Reef Installment, and Seagrass Mapping Projects. Her post graduate career includes work for different zoological and aquarium facilities where she gained hands-on experience with marine animal transportation and husbandry. 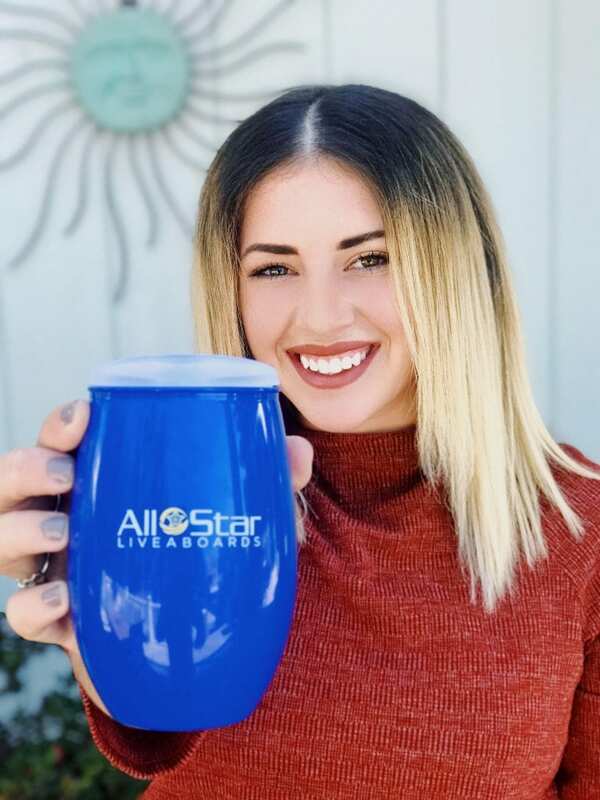 Currently, Addie is a part of the All Star Liveaboards team! As the Marine Biologist for our Citizen Scientist trips, she leads passengers throughout the week with research projects focused on coral reef population restoration by Diadema translocation, reef cleanup, coral out planting and education.